a litter with the intention of selling all of the puppies. When we receive your application, we will contact you by phone to answer any questions you might have. A visit will be required before we will accept a non-refundable reservation deposit from you. ALL VISITORS will need to fill out an application before we can schedule a visit. All members of your household must visit in one appointment. for your family, we will accept a non-refundable deposit at the time of your visit. You will receive updates and photos on the litter as they grow. At 6 weeks of age, puppies will receive a health examination and shots from our Veternarian. select a puppy for you. 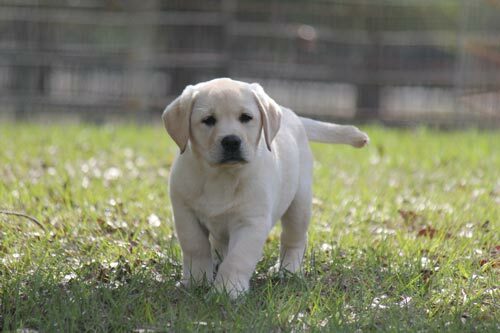 we select puppies for our families and schedule a pick up time for you. You will pick up your puppy on their 8th week birthday before their optimum training period begins. the personality and temperament that is best suited for your interest and experience.